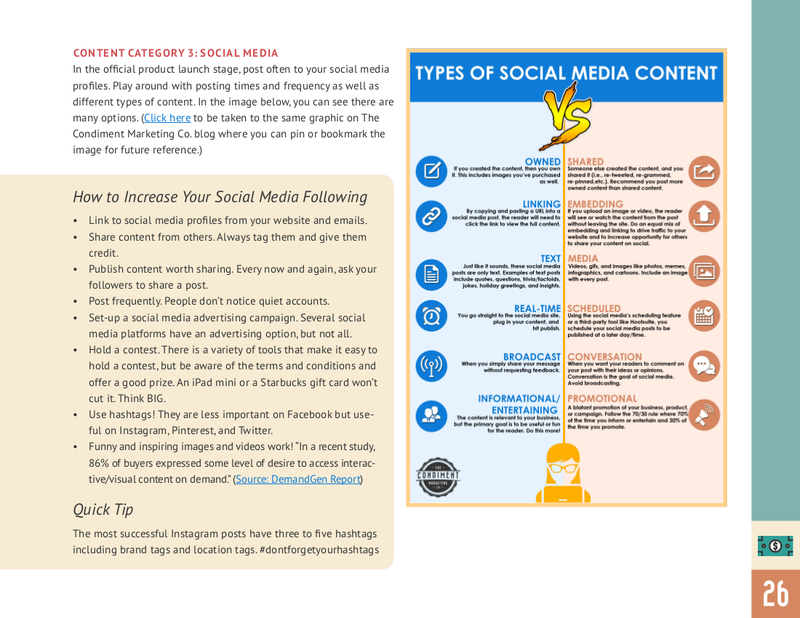 In this comprehensive ebook produced by The Condiment Marketing Co., we share a step-by-step look at how to market your food business from concept stage through growth stage using marketing tactics and public relations. This is NOT an exhaustive marketing tutorial or a how-to-run-a-food-business. Instead, Make Your Food Biz Look BIG is a detailed description of how to elevate your brand on the web so that it looks like an established, professional company deserving of online sales and new retail partnerships. What you'll find in these pages is a description of what The Condiment Marketing Co. does for its clients. We understand that not all food companies are ready to hire a marketing agency, and that's exactly why we produced this book. We hope that the tips and insights, examples, checklists, templates, and exercises are helpful in the growth of your business. 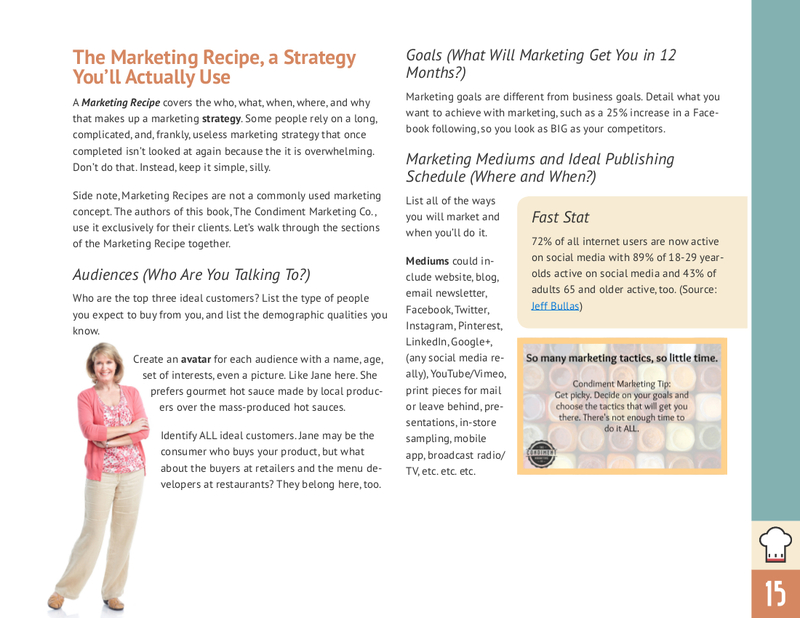 Make Your Food Biz Look BIG, A Guide for Entrepreneurs Who Want to Market Like the Pros is a downloadable, full-color PDF that totals 56 pages. It is easy to print and view from your computer or mobile device. Get your copy today here on Gumroad! Food Business Lifecycle: What Stage Are You in Now? About The Condiment Marketing Co.
Click these links for excerpts from the ebook! "What a great book for small food companies to reference! I recommend it to all of my food and drink clients." --Amy Goldsmith, AEG Design Co.